Our week-long flash sale will start this Saturday, 26th September, at 10am. 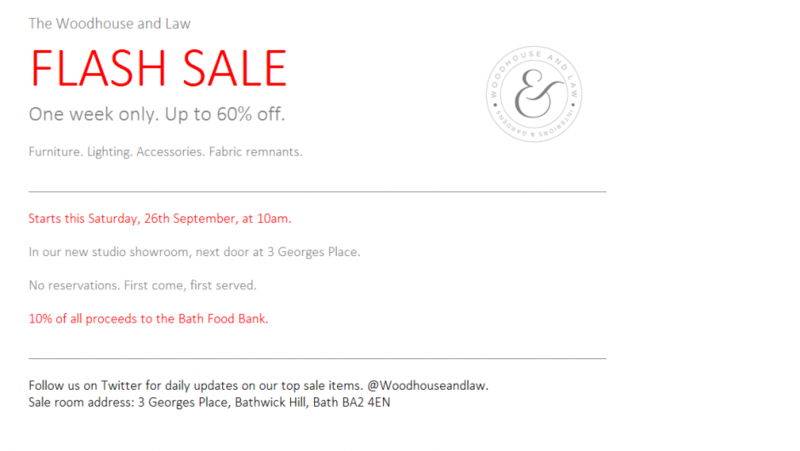 10% of all proceeds will go to our chosen charity – the Bath Food Bank. There will be up to 60% off all items, including furniture, accessories, lighting and fabric remnants. It’s first come, first served and we won’t accept reservations, so get along early! We look forward to seeing you there, at our new showroom studio next door at number 3 on Georges Place. Previous article Introducing our new team members!